New search filters in LinkedIn Sales Navigator will help you identify and prioritize the right accounts. 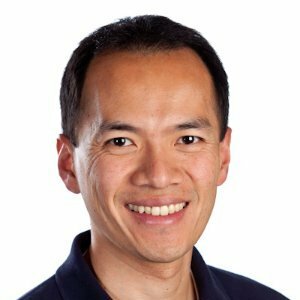 Senior Leadership Changes - Multithreading is critical to ensuring your deals don’t go dark. Start by identifying companies where senior leaders have changed roles or joined the organization in the past three months. These could be great indicators that it’s time to reach out. Department Size - The size of a department you’re selling into often gives clues to the potential size of the account or budget. 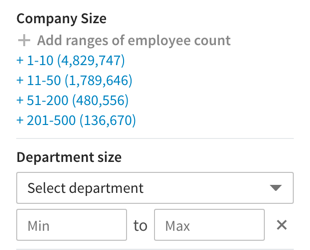 Now you can find companies with a minimum number or range of employees in a department using data unique to LinkedIn. 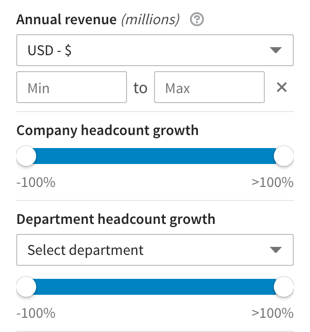 Headcount Growth - Closely related to department size, significant headcount growth can be a sign that the company might be more open to your product(s) and be a trigger to prioritize outreach to that company. 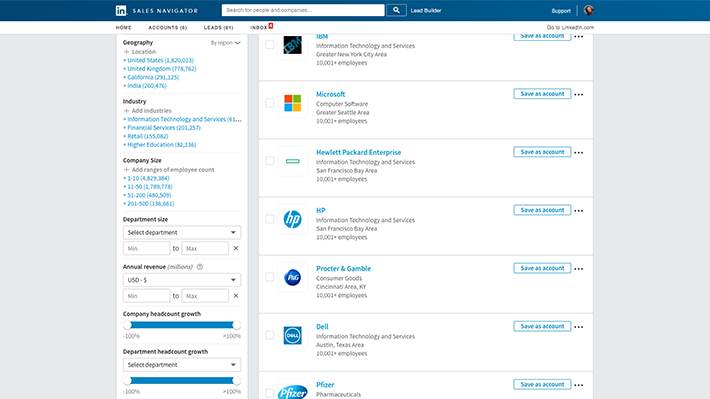 We’ve also added filters so you can track growth by either company or specific department. Company Revenue - We recently added a revenue filter for public companies, so you can search companies in a specific revenue range, in numerous currencies. (Currently available for companies in Australia, India, UK and the US). We will continue to expand coverage to include more companies in the near future. Headquarters Postal Code - Got a territory? Then you know how critical it is to narrow accounts by territory descriptors like postal code. In Sales Navigator you can now pinpoint accounts by one or more specific postal codes. Once you’ve identified all of the accounts you want to target, you’re probably ready to find the right decision makers. Select your target accounts, and with a single click, switch to view all employees at those accounts. You can narrow even further by applying unique Sales Navigator people filters. If you're a Sales Navigator user, you can click here to access the new Account Search filters today. Let us know how you like them and how you’re using them. If you’re not yet a customer, check out these and all of the great premium filters only available on Sales Navigator -- we’re adding more all the time!